According to Jeffrey Taras, one of the founding partners of Associated Fabrication, the Brooklyn-based studio emerged out of the simple desire to “know how to make things.” Taras and his partner, William Mowat, matriculated at the Columbia University Graduate School of Architecture, Planning, and Preservation during what Taras described as the “paperless studio time.” “People were making these very voluptuous and curvy things that weren’t out in the world yet,” said Taras. Immediately upon graduating, Taras and Mowat formed Associated Fabrication and set out to find the tools and develop the skills to transform digital designs into physical forms. Now in its eighth year, the studio has cultivated the experience and expertise to tackle projects that demand a sophisticated knowledge of the digital process and a mastery of the machinery and equipment needed to execute an architect’s concept. In the beginning, Taras said it took “a lot of trial and error.” As they grew more familiar and proficient with the tools, the studio established new techniques that enabled them to take on more challenging commissions. Associated Fabrication operates out of a large industrial space in Greenpoint, Brooklyn, where it does everything from CNC milling and Corian fabrication to millwork and 3D modeling with Rhino and MasterCam. The studio, which has grown to a staff of seven, has become widely recognized for its advanced work with Corian thermoforming. Taras said they gravitated towards this material because “it lends itself to be seamless,” and often that is the very quality that an architect craves. As graduates of Columbia’s architecture program, Taras and Mowat have a keen understanding of the design sensibility that drives architects. “We’re able to speak their language, so we can help deliver results and meet their goals,” said Taras. 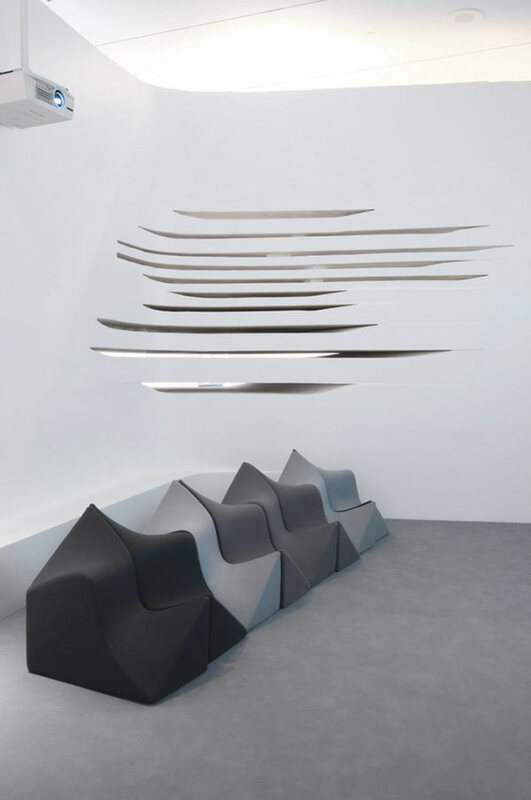 It was this very insight that came into play when Associated Fabrication was commissioned to build and install the Philadelphia Museum of Art’s Zaha Hadid: Form in Motion exhibition in 2011. 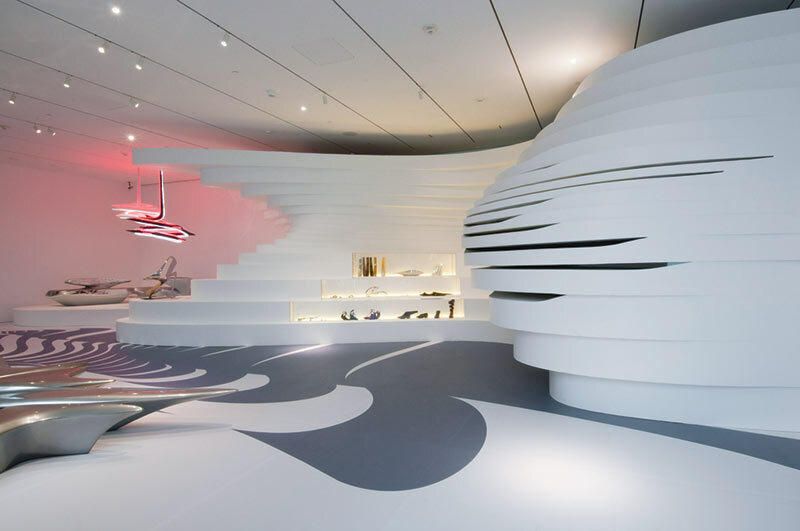 With a tight budget and limited time, the studio had to come up with a material that resembled Hadid’s signature curvaceous forms. Taras and Mowat decided to work with EPS foam, a material they had never used before. The risk paid off. 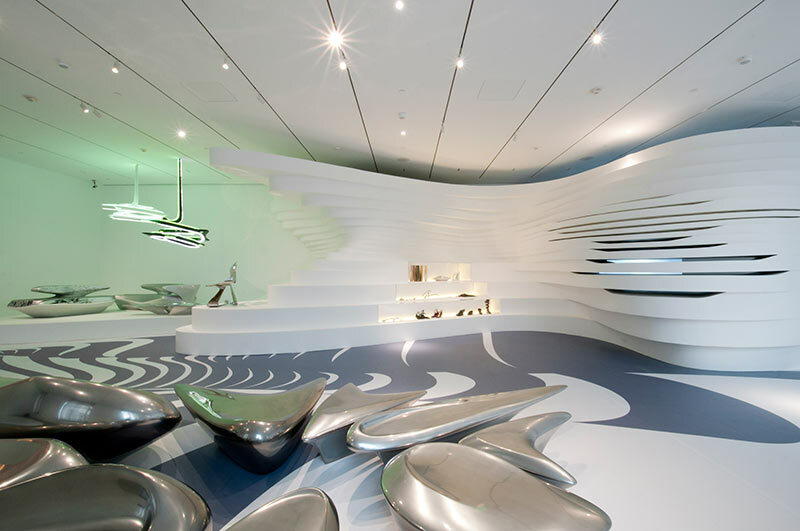 The exhibition space, outfitted with curvilinear walls, created a fitting backdrop for Hadid’s designs. With the International Contemporary Furniture Fair around the corner, Associated Fabrication is in the process of developing a few ideas that Taras hopes will highlight its Corian techniques and “showcase our abilities and our craft."